Nonlinear Systems and Methods For Mechanical, Electrical and Biosystems presents topics observed at the 3rd Conference on Nonlinear Science and Complexity(NSC), focusing on energy transfer and synchronization in hybrid nonlinear systems. The studies focus on fundamental theories and principles,analytical and symbolic approaches, computational techniques in nonlinear physical science and mathematics. 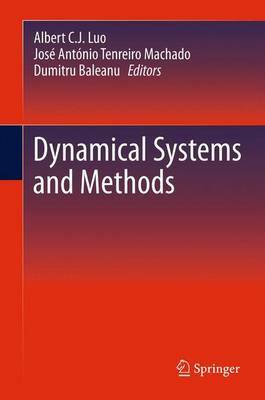 Broken into three parts, the text covers: Parametrical excited pendulum, nonlinear dynamics in hybrid systems, dynamical system synchronization and (N+1) body dynamics as well as new views different from the existing results in nonlinear dynamics, mathematical methods for dynamical systems including conservation laws, dynamical symmetry in nonlinear differential equations and invex energies and nonlinear phenomena in physical problems such as solutions, complex flows, chemical kinetics, Toda lattices and parallel manipulator. This book is useful to scholars, researchers and advanced technical members of industrial laboratory facilities developing new tools and products.